Recurring dreams of a house Hope Graham’s family rented when she was a child, taunt her nights with nightmares of a woman in a bloody nightgown pleading for help. Dream sequences of children metamorphosing into rats, blood spewing out of windows, and walking across decaying bones, foretell of sins of the past and forewarn of danger in the present. In an attempt to end the agony of her sleep depriving dreams, Hope travels to her hometown…only to discover that the truth can be more frightening than a nightmare. Victoria Roder resides in central Wisconsin with her husband and house full of pets. Victoria’s recurring dreams and imagination become revenge, mystery, and murder on the printed page. In her free time she enjoys camping and hiking with her husband and dogs. Victoria roller-blades, shoots bow, snowshoes, and enjoys motorcycle rides. You can learn more about Victoria at her website www.victoriaroder.com. She would enjoy hearing from you. I enjoy books like this with a twist in the ending. I guessed part of it but I was still not disappointed. This was a fun quick read that I could not put down; I finished it in just one sitting. It left me on the edge of my seat the whole book. I had a hard time not cheating and looking ahead to see what was going to happen. I wanted to know all the answers to my questions. The ending was very satisfying, ending on a good note and answering all my questions. I was drawn to all of the main characters; they felt real to me. I cared for their lives and wanted their problems solved. I was so sad about what happened to one of the endearing characters. You will have to read the book to find out what I am talking about because I won’t spoil it for you. The Dream House reads like it is written by a veteran novelist instead of a debut novel. I think Victoria Roder is a very talented writer, and I’m looking forward to more novels by her. Buy It: You can buy The Dream House for $10.95. It’s on sale for $9.85 right now on Amazon. 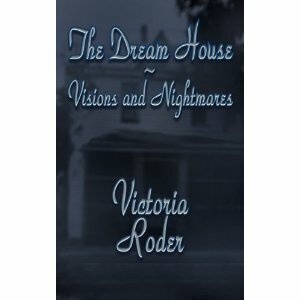 Thank you for taking the time to review my novel, The Dream House Visions and Nightmares. Thanks for all your kind words and encouragement.